It’s a well-known fact that Facebook offers one of the biggest, most vigorous advertising platforms for businesses of all sizes to achieve their target customers. The only problem with Facebook Ads is that they don’t follow the adage, “If you build it, they will come.” Actually, many people lose a lot of money with Facebook ads because they don’t know how to use it properly. In other words, many costly errors are made. In case you’re new to Facebook or if you’re a seasoned professional looking to boost your outreach, below are three mistakes to avoid so you can take advantage of your Facebook advertisements. Having a measurable goal when Facebook promotion is the foundation for meaningful returns. If lead gen, purchases or conversions are your goal, create ads that match those goals. Tracking proxy metrics such as likes, comments, and shares are not enough. A like is not the same as a lead. There are many different types of Facebook ads that we cover extensively in the new Facebook advertising track, so make sure you use the right ads to match your marketing objectives. Your cost per lead metric will really help you understand whether your ad campaign works, and you can’t do that if you don’t know how much each lead is worth to you. To find out, create a baseline by calculating your current cost- per- lead. Once you have set your cost per lead, you will be empowered to determine which advertising types complement your marketing strategy and budget. It is important to note that the cost of various types of campaigns varies greatly, depending on which type of lead you generate. Take the time to determine what kind of strategy, advertising and budget are best suited to your marketing needs and resources. It is very important that you give mobile users a good Facebook experience at all stages. Since many marketers create their materials on a computer and not on a mobile phone, checking your ads on a number of devices is imperative. If you do not ensure that your ads are responsive, you must ensure that your ads are mobile- optimized from now on. Because 80% of social media consumption is mobile! Do not forget the engagement of the audience because your ads appear sloppy on mobile devices. Facebook advertising is a great marketing tactic, but silly mistakes can significantly undermine your efforts and cost you time, money and audiences. 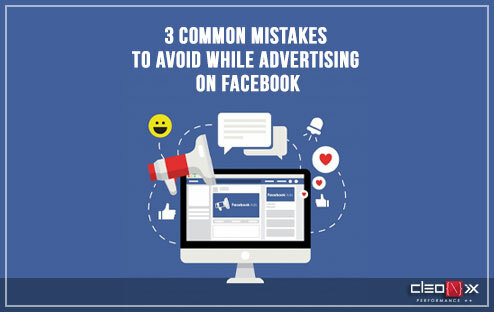 By keeping these three mistakes to the top of your mind when you build your Facebook ads, you are set to succeed.